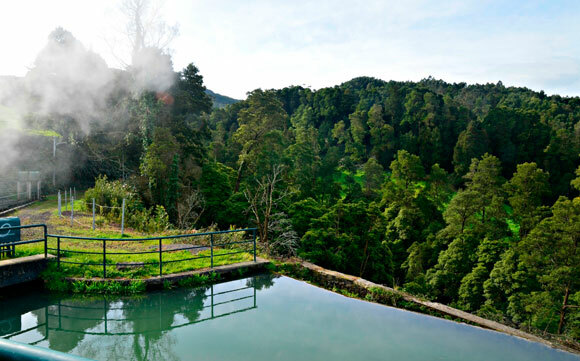 Like any other, the São Miguel hot springs come along with volcanos and to understand why and where they surface you need to understand a thing about volcanos. 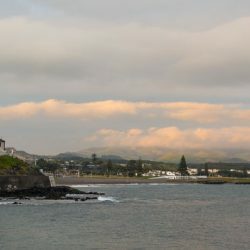 On São Miguel, there are three main and active volcanic complexes with each one’s central stratovolcano with summit caldera: the central Fogo volcano with the last big eruption in 1563 seems to be the most active one. The caldera in Furnas is another one and the third one is the Sete Cidades complex. With three major volcanos on such a small island it’s no wonder that the heat is still quite close to the surface. 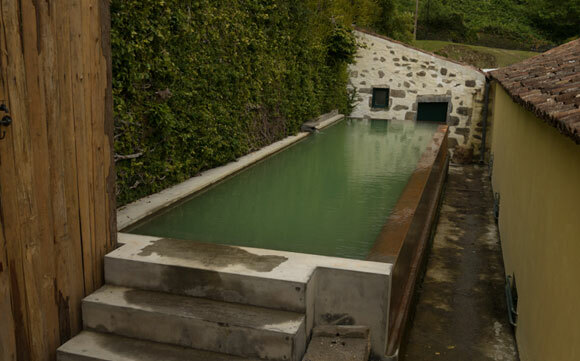 Situated in the old town of Caldeiras (which literally means “boiler”), the Termas das Caldeiras is the smallest of the São Miguel hot springs. 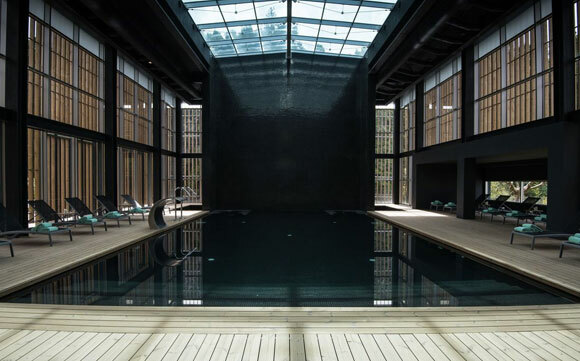 It has one thermal pool outside and two small pools inside. Book a volcanic clay massage to unlock the inside pools, as they are only to relax after your massage. It’s recommended to come early: we arrived at 1pm and had the whole outside pool for us. After being massaged, it got pretty busy there. All in all, it was the most relaxing hot spring experience we had during our stays and it seems to be less touristy as the well known options. The Caldeira Velha is on the same flank of the volcano, just a bit closer to the top. In fact it’s a big park that gets visited by busloads of tourists, but most of them don’t actually dive into the pools. It’s nice to sit in 42° C water and watch them take a walk around the park. There are two thermal pools, the bigger one is a bit colder and hosts a nice waterfall while the small one is pretty shallow but very warm. With the whole park situated in the middle of the jungle, it’s a very special experience and a must-see if you’re on the island. Same here with crowds: arrive early to avoid the busiest hours. This one is not an official hot spring, it’s where the “Salto do Cabrito” hydroelectric power plant collects the water. And guess what: it’s hot and there is a small basin you could swim in. So for the adventurous amongst us, this could be the most epic hot pool ever. But be aware, it’s on your own risk, we didn’t tell you. If you want to have a nice stroll on the save side, “Salto do Cabrito” – which translates to “jump of the little goat” – is also the name of a nice little waterfall just around the corner. 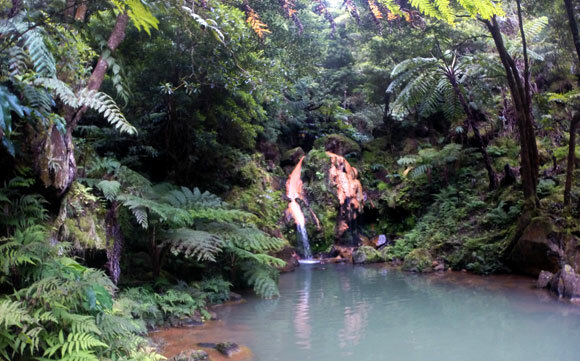 The Furnas Valley became popular towards the end of the 18th century for it’s mineral water to treat health problems. Furnas has hundreds of small springs and streams, all with different properties. Strolling trough a park that is so big, you don’t even recognize you’re in a park. It feels like jungle and there is even a small lake with a cave where you can sit and wonder about nature’s beauty. The Terra Nostra Gardens have a long history: Around 1775, a wealthy merchant from the US named Thomas Hickling, Honorary American Consul in São Miguel built a simple wooden house and the pool with the island in the middle. Around it, he planted trees he imported from the US mainland. In the 19th century the park was bought and enlarged dramatically. In 1901, King Carlos I of Portugal visited the gardens which made them very popular. The whole park is very beautiful and the main pool invites for a swim. The two smaller pools are more on the relaxing side, and the temperature is perfect. If you’re too relaxed to go home after, there is a hotel with the same name just outside the park. The Poça da Dona Beija consists of five thermal pools with different features like waterfalls, a wall of water and benches to sit. Like most of the hot springs, it sits in the middle of a jungle-like flora. That helps you switch off even more and enjoy your time in the warm water. During the tourist season it tends to get pretty busy, so morning hours are best here. 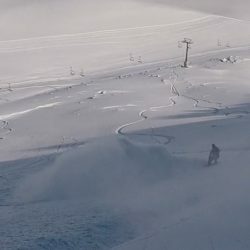 We haven’t been there, but we only heard good things about it. 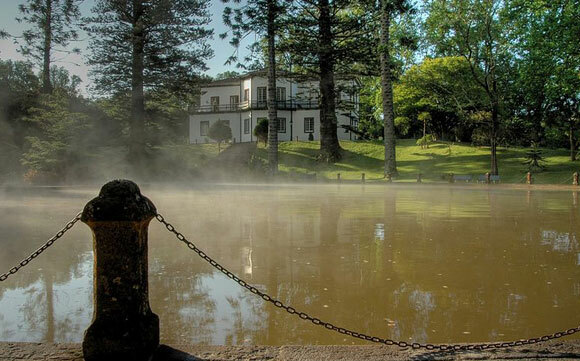 So if you have the time and money, spend a night or two in the Furnas Boutique Hotel. They have a very good restaurant and some nice spa treatments on offer. The volcanic complex of Sete Cidades has only one hot spring below the tiny town of Ferraria. Even though it’s the only one, it’s very special at the same time. 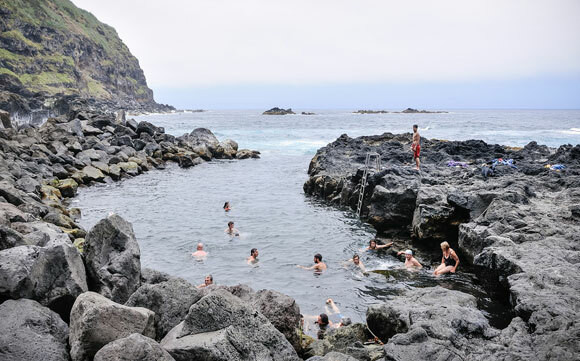 The main attraction is a natural pool in the ocean that heats up on the lava rocks. Best time is during low tide, when little water moves. The eruption that formed the landscape was not too long ago and thus you can still enjoy the volcanic landscape. There is a spa nearby where you can get a massage or take a bath in the hot pool. If you’re hungry, they also have a good restaurant. 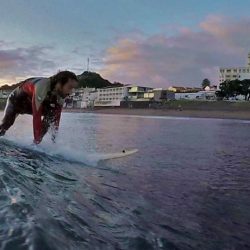 With so much volcanic activity around, the chances are, that you stumble into more São Miguel hot springs along your journey. There’s still a lot of undeveloped places in the forests on the flanks of the Fogo volcano. I bet you can find some nice hot springs and enjoy them all for yourself.